Leading Manufacturer of rubber lined pump and chemical supply pump from Ahmedabad. We are engaged in offering our clients with a qualitative array of C.I. Ebonite Rubber lined Pump marketed under our brand “JET”. These are manufactured using precision engineering techniques and quality raw materials. 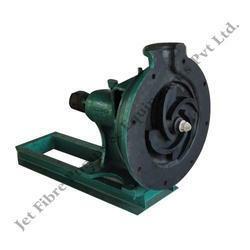 We also offer these pumps in varied specifications as per the specific requirements of our clients. These are durable, corrosion resistance and offer clients with excellent performance. Looking for Industrial Pump ?